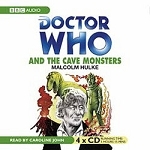 Stranded in the jungles of Kembel, the most hostile planet in the Galaxy, Space Security agent Marc Cory has stumbled across the most deadly plot ever hatched - the Daleks are about to invade and destroy the Universe. Cory has to get a warning back to Earth before it's too late - but the Daleks find him first. Months later the Doctor and his companions arrive on Kembel and find Cory's message. 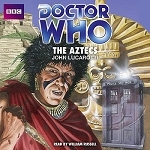 But it may be too late for Earth - the Daleks' Master Plan has already begun...This is the first of two novelisations written by John Peel and based on the TV serial "The Daleks' Masterplan". 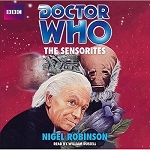 It is read by Peter Purves and Jean Marsh, with Dalek voices by Nicholas Briggs. 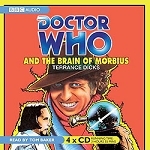 The second book, "Daleks: The Mutation of Time", is also available from BBC Audiobooks. 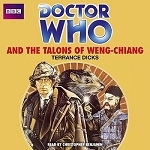 'BBC Audiobooks has chosen well with its books and has taken the right approach with its readers...they benefit from new music and sound effects' - "Doctor Who Magazine".